ROTOCON, a provider of consulting and service to South Africa label converters in the narrow web industry has sold a second MPS flexo press to JMB Labels. Ordered through Patrick Aengenvoort, sales director of ROTOCON during the recent Labelexpo Europe event was the EB cost-effective label solution press, and is the first EB machine sold into Africa. 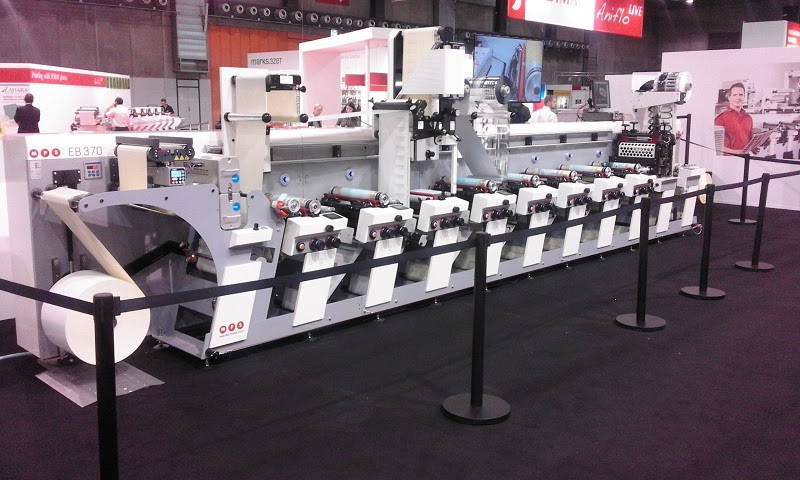 Featuring predictable high-quality label printing, reliable productivity, and operator-friendly press operation, the MPS EB flexo press is built standard with Crisp.Dot light technology delivering superior print quality, iSet intelligent pressure setttings, iStop technology assuring zero waste at roll change, full-length rail system, quick change die-station and a pre-register function. Printing speeds are up to an impressive 165m/min. Also ordered by JMB Labels for their EB press was a laminating unit on rail. Additionally equipped on the EB press for JMB Labels are Wink Stanzwerkzeuge GmbH magnetic and print cylinders, in addition to the revolutionary Wink GapControl® adjustable anvil system to be installed on the die station. GapControl allows a precise, doublesided adaptation of the gap (and thus the liner strike) for various applications and materials. The advantages of GapControl are mainly rooted in its high stability, which allows problem-free cutting-through at high production speeds. ROTOCON has represented Wink Stanzwerkzeuge in South Africa since 2013. Managed and owned by Ahmed and Aslam Monia, JMB Labels is one of the leading and fastest growing label printing specialists in South Africa. From humble beginnings dating back to 1928, JMB Labels now occupies a 1500m2 office and factory site in Amalgam, Johannesburg. Aslam Monia comments: "Our decision to invest in another MPS press was made easy considering the proven success of our premium MPS EF flexo press and the dependable support we receive from MPS and locally through ROTOCON. With our new EB press, we will benefit from its superior operator-friendly design, low-cost in maintenance, and advanced press automation as we continue to grow in South Africa."